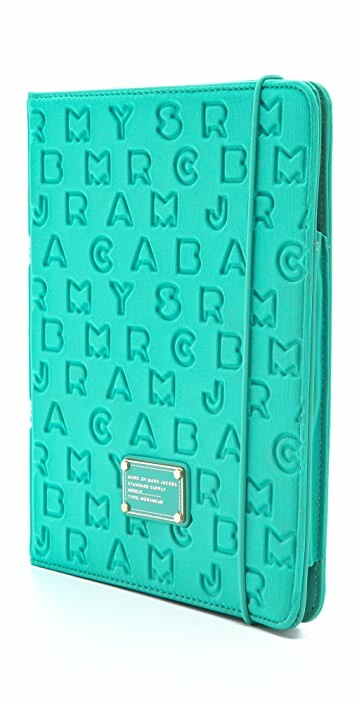 This Marc by Marc Jacobs tablet book is a playful way to keep your iPad or tablet protected while on the go. The soft neoprene exterior is embossed with logo letters and finished with an enameled logo plate. The case opens to a slide pocket and a Velcro®-secured screen-window. I love this case, it protects my iPad and looks gorgeous at the same time. I Get so many complements on this product at school.